I asked readers of The Eloquent Woman on Facebook what they'd focus on if they could improve just one thing about their public speaking and presenting. One response came from Gail Colborne Gustin, who said "Have the opportunity to work more with visual aids. They SCARE me!" Less is more when it comes to your slides: Your slides are not giant cue cards for you to read, nor are they documents with paragraphs of information for your audience to read. Instead, put a short take-away message on each slide, show a picture that you can describe, or let the slide speak for itself while you pause and let your point sink in. That's also true for the overall amount of slides--less is certainly more. And if you've got too much to say, be sure to save some for the Q-and-A so you look smarter. Make yourself a visual: Moving around the room while you speak will keep you energized, and also makes you a moving visual for your audience--it's guaranteed to keep them watching you. Use gestures in the same way. Start your visual efforts by planning and practicing a couple of choice gestures to underscore your point at important moments in your presentation. Once that's comfortable, you can expand to other visuals. Consider a three-dimensional visual. Otherwise known as a prop, a 3D visual--no matter how simple--might be the best way to make your point. As with any visual, you need to use props with discretion, but consider this option. Better yet: Use a prop you can pass around the room so the audience can see it close up. A prop can be something as simple as a sheet of paper. Practice is essential: From props to slides, you need to understand how they work in practice. Don't attempt to use visuals without rehearsing with them, even if you're a seasoned speaker. You don't need to go it alone. 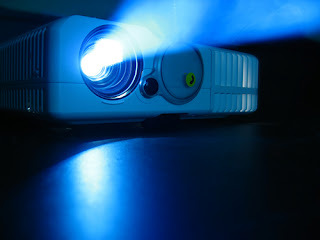 Get some expert help: It's worth asking your company's audio visual technicians to spend a few hours teaching you how to use projection technology, remotes and what goes with them before you speak, if visuals scare you--the more the mysterious becomes familiar, the better you'll do. You may find you want to invest in your own remote so you have one known-to-you piece of technology, no matter where you are presenting. And this is a great way to focus your one-on-one training with a speaker coach or trainer: Ask for a session entirely focused on giving you some visual skills. Share your questions and fears about visuals in the comments--and your ideas for coping with them.